Romney Nails It: Health Care Reform is "Fundamentally Conservative"
Romney's enemies mock the candidate for calling health reform "fundamentally conservative." There's one problem: he's right. In a recent interview, presidential hopeful Mitt Romney called the Massachusetts health care policy passed during his gubernatorial stint over that state -- and which was mirrored in the recent health care bill passed by Congress -- "fundamentally conservative." Naturally, conservative bloggers repulsed by Romney's suspect political history -- he was, at one time, pro-choice, among other heretical stances -- were all over this comment. Many think the health care reform is socialistic or whatever slur-du-jour they employ, in large part because of the individual mandate forcing consumers to purchase insurance or be fined by the federal government. 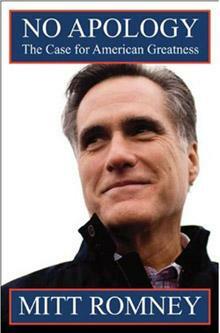 The Gateway Pundit's Jim Hoft: "Mitt Rommey says forcing Americans to buy a product in a conservative principle." Red State's Erick Erickson: "...the conservative solution is not to force Americans to buy a product. Forcing Americans, through penalty of law, into purchasing or refraining from purchasing a product is not and will never be conservative." Hot Air's Tina Korbe: "...advocates of the individual mandate succumb to cynicism about the individual's ability to take care of himself. A mandate, in other words, proceeds from an elitist, bureaucratic assumption that government leaders know what individuals need even more than those individuals do." First, Romney didn't actually say forcing people to buy insurance was fundamentally conservative. He said forcing people to buy private insurance was fundamentally conservative. The concept of the individual health insurance mandate originated in 1989 at the conservative Heritage Foundation. In 1993, Republicans twice introduced health care bills that contained an individual health insurance mandate. Advocates for those bills included prominent Republicans who today oppose the mandate including Orrin Hatch (R-UT), Charles Grassley (R-IA), Robert Bennett (R-UT), and Christopher Bond (R-MO). In 2007, Democrats and Republicans introduced a bi-partisan bill containing the mandate. In 2008, then presidential candidate Barack Obama was opposed to the individual mandate. Heck, if you go back and read those Heritage Foundation documents -- from a very conservative think tank -- you'll see the basic principles at the heart of the recent health care bill: An individual mandate. Subsidies for low-income people to purchase insurance. An opening of the health-care market to foster competition. That's pretty much the health-care bill. And that's pretty much why the health-care bill is deeply flawed and won't fix the big problem of health care: rising costs. Basically it bribes the private insurers into taking care of our sick by dumping taxpayer money into the industry and forcing the young and healthy into the market. There are no cost controls. There are no employer mandates or public insurance options. There's no implementation of fee structures, no challenge to privately-run medical groups practice of fee-for-service charges, no end to the inherent and costly belief in moral hazard in medicine. "Fundamentally conservative" sounds right to me.